Paleontology is the study of history of life on Earth, with the help of fossils. It is the investigation of past life on earth, through the study of fossils. Fossils are the remains or traces of organisms such as plants, animals, fungi, bacteria and other single-celled living things that lived in the geological past and are preserved in the crust of the Earth. Hence we can say that Paleontology is not the study of dinosaurs alone as thought by many, it is the study of entire species of living things on earth with the help of fossils. Paleontologists are scientists who study fossils, the remains of ancient organisms in order to investigate past life on earth or prehistoric life. They conduct research on prehistoric life forms and the evolution of plant and animal life through the examination of fossils. They use fossilized bones, shells and casts of animals to learn about extinct species. They also use preserved pollen grains and trace fossils of plants to determine the environment in which the species lived. A paleontologist may study fossils that range from tiny bacteria to giant dinosaurs, these fossils can be even billion years old. They use various scientific techniques to locate the fossils and identify pertinent facts about the fossils. The duties and responsibilities of a paleontologist vary depending on the field of work and the setting. Locating and excavating fossils is the main work of a Paleontologist, identification, research and sharing of findings are also equal responsibility of paleontologist. Research institutions, laboratories, museums and university departments are the major employers of paleontologists. Paleontologists study a variety of fossilized remains to learn about past organisms and environments of the earth at different geologic periods. There are several broad categories of paleontologists, depending on what kind of fossils they study. Those who study fossils of animals with backbones are called vertebrate paleontologists. Paleontologists who study of fossils of animals without backbones are known as Invertebrate Paleontologists. They are more likely to engage in field work, digs and putting together remains of dead organisms. Micropaleontologists study microfossils. Microfossils are tiny fossils, either plants or animals, which can be seen only with a microscope. Micropaleontologists are more likely to spend their time in laboratories, using microscopes and other mechanical tools to study microscopic fossil organisms. Yet another group research on fossil plants referred as Paleobotanists. They study larger fossil plants – wood, leaves, flowers, and seeds. Palynologists study pollen and spores (living and fossil). Other area of paleontologists include Paleoecologists who study ancient ecosystems and how they develop. Biostratigraphyist study the vertical distribution of fossils in rocks. Paleoanthropologist study prehistoric humans. Paleontology is a science related but broad field. Therefore a paleontologist needs to know physics, chemistry, biology, and geology. Most entry-level positions in paleontology require a master's degree in geology or earth science. A Ph.D. is necessary for research and college teaching positions. Knowledge of many languages is an added advantage to this field as the career requires lot of travel as well as indoor work. Subject areas of study include: stratigraphy, sedimentation, mineralogy, sedimentary petrology, invertebrate paleontology, ecology, invertebrate and vertebrate zoology, paleobotany, evolutionary biology and genetics. Paleontologist needs to have a high level of computer skills and be competent in statistical analysis. One must possess good interpersonal skills as well as oral and written communication skills. This is due to the fact that they will be most often required to work with a team of professionals. Paleontologist must have high curiosity level and great imagination. They must be able to think logically and critically, be inquisitive and extremely analytical, and have the ability to infer conclusions from collected data or information. Since paleontology is a difficult job that requires lot of outdoor work for locating and excavating fossils, an aspirant must have patients. If you are have a real interest in science and research especially investigation of past life, paleontology may be an ideal career choice for you. As there is only one institute that offer courses specific to Paleontology in India (Geological survey of India, Bandlaguda, Hyderabad), those with bachelor degree in geology or earth science can get into entry level jobs in this field. But, masters degree or Ph.D is required for better prospects in Paleontology. Careers that you may wish to pursue in paleontology range from curators or other museum personnel within the field, nature or environmental conservationists, geological surveyors within an industry such as mining or the petroleum industry, professional consultancy work or teaching. Paleontologists are employed by both public and private sectors. Paleontologists usually work in colleges and universities, museums, or state and federal geological surveys. Many of them are employed as college and university professors. Paleontology professors may also do fieldwork and research in their area of expertise. A Ph.D. is required for academic palaeontologists. 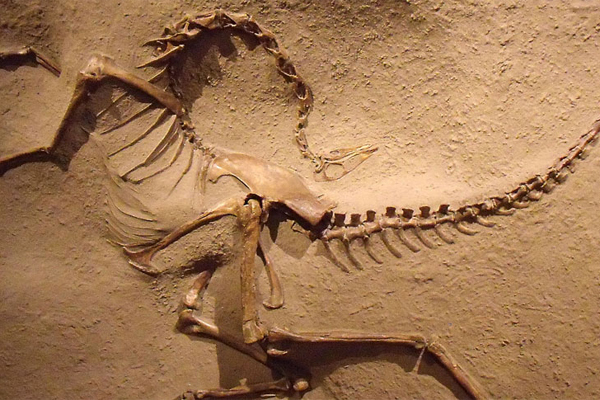 Museums hire paleontologists to locate and identify fossilized remains for exhibits and for additional research. In museums, they work as curators, researchers, collection managers etc. State and federal geological surveys commonly employ paleontologists to work as part of a team solving problems important to the state or nation. Paleontologists may perform a service for geologists or the public, by identifying fossils, giving programs or tours, consulting with industry, or even providing advice to visiting paleontologists. A few work for oil companies or in government as consultants helping to solve geological problems. Salary generally depend on factors such as the level of education, experience, where they work, specific job responsibilities etc. Salaries in private sectors are extremely high and commensurate with qualifications and experience. A fresh paleontologist can expect to start with anything between 15000/- to 25000/- per month which can shoot up with right experience and talent.